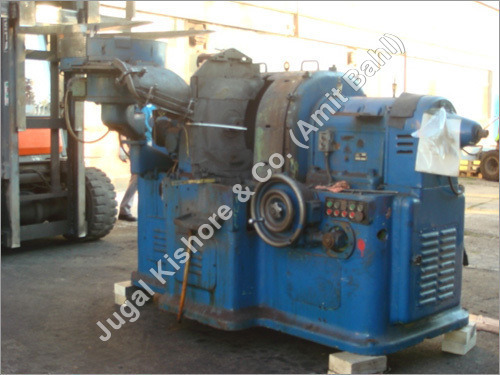 We have been offering technically advanced range of Duplex Grinder that is sourced from the leading names of the market. We provide highly efficient collection of grinder that comes with powerful double disc grinding tools and technology to grind opposite as well as parallel surfaces flat at once. The range is available with high end wheel having huge diameter and thickness of component to ensure high end performance. With optimum loading systems and efficient performance, the range provides complete satisfaction to the clients. With sturdy forged spindle that is supported by accurate angular contact bearing, the range provides precise finishing even heavy duty loads. Robust spindle drive design with high tech splined sleeve as well as precision belt transmission ensures to remove spindle deflection during grinding. Accurate positioning of the grinding wheels with zero backlash is done with a precision ball screw, and anti friction slide.